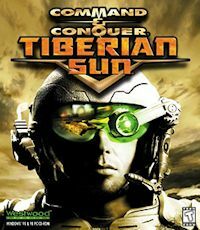 Tiberian Sun is the true sequel to the original Command & Conquer. Released in August 1999 after many delays, we once again returned to the world of the Global Defense Initiative (GDI) and Brotherhood of Nod but this time things have changed, in a big way! GDI and Nod are highly different in their play styles, with GDI focusing on raw firepower and Nod utilizing hit-and-run tactics and the element of surprise. A new blue strain of Tiberium is present in the heavily-infested world, which brings more income but is volatile and can explode when fired upon. Veinhole monsters lurk in some areas, and there is a third actor in the struggle over the Tiberium-ridden Earth – the Forgotten, a group of humans who somehow survived Tiberium exposure, but are slowly being mutated because of that. Tiberian Sun’s game engine was completely built from the ground up by Westwood, utilizing voxel support to make the game seem 3D with out the need for a 3D accelerator video card.